A pediatric practice that provides a higher quality of healthcare for the children in the community at every step from birth to adulthood. "Doctor Flynn is the best pediatrician. He is calm & the kids are comfortable around him." "A+++ Great doctor, would recommend to anyone !" "I absolutely love Dr. Flynn and his staff- they are simply amazing." "Dr. Flynn is a knowledgeable, caring & compassionate doctor. I'm glad we found him!" "An amazing doctor. Would recommended to anyone with children." Dr. Sean Flynn created Step by Step Pediatrics to increase access and availability of pediatric services to the children and families in the Bloomfield, New Jersey, community and its surrounding areas. The goal of the practice is to provide a higher quality of healthcare for children, from birth to young adulthood. Dr. Flynn has created a true medical home where patients always feel comfortable coming to see the doctor and where the doctor-patient/parent communication is as seamless as possible. 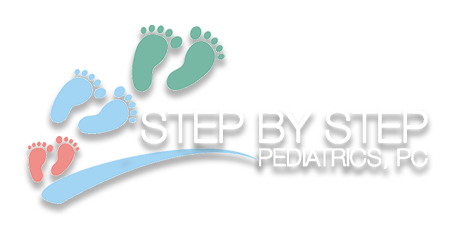 Dr. Sean Flynn is the sole proprietor and practitioner at Step by Step Pediatrics. 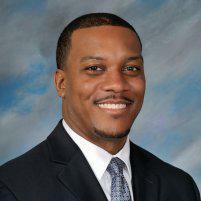 He is also board- certified by the American Board of Pediatrics and is a Fellow of the American Academy of Pediatrics. Dr. Flynn grew up in Brooklyn, New York, and received his medical degree from the Brody School of Medicine at East Carolina University in North Carolina. He completed his pediatric residency at UMDNJ-New Jersey Medical School with training at University Hospital and the Joseph M. Sanzari Children’s Hospital at Hackensack University Medical Center in Hackensack, New Jersey. After residency, he worked for several years in private practice as a general pediatrician. Outside of his practice, Dr. Flynn has committed himself to helping improve the human condition. Dr. Flynn served as a medical missionary in Haiti twice after the earthquake. He also traveled with Arise and Walk Ministries Foundation to provide free medical care to the Haitian people and give them the hope they needed to get back on their feet. "I appreciate Dr. Flynn & the time that he dedicates to each and every one of his patients. I am thankful to be able to find a male physician that my boys can relate to!" "Dr Flynn is amazing! His receptionist/medical assistant is very nice and professional. The visits are always a breath of fresh air. He is very patient and calm." "My three children are patients of Dr. Flynn and I am very with happy with his practice. He is very professional and has a very calm demeanor with the kids." "I love taking my children to see Dr. Flynn. He's a wonderful pediatrician. Always calls right back for emergency phone calls left with operator."